C cells have a variable shape, ranging from round to elongated. The nucleus is located towards one end of the cell and has a round and clear appearance with prominent nucleoli. Most C cells are characterized by the presence of basophilic cytoplasmic granules. 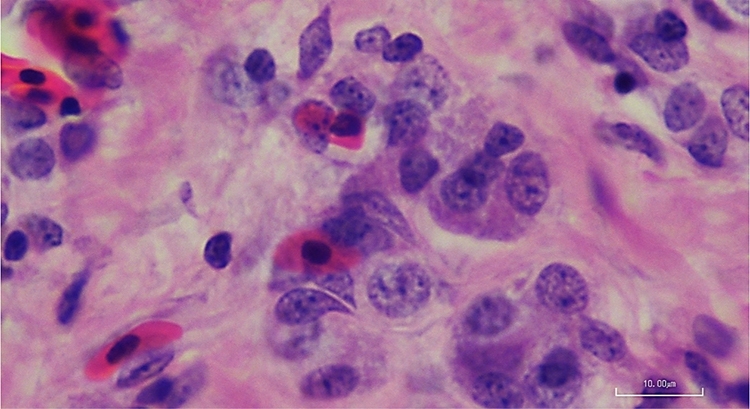 Paler C cells have few and small scattered granules in their cytoplasm. Their nucleus is large and more centrally located.